As we shared, our Roku box was one of our best purchases of 2013. With exorbitant prices for digital cable, many people are going the route of the streaming media player. With ones like Roku, you can view media that’s on your computer – whether pictures, music, or movies – and they offer plenty of channels for you to choose from, free and subscription. Even if you viewed the free stuff, you can surely find something to keep you entertained. With their increasing popularity, companies are coming up with new ways to capitalize and stand out in this market. Here are two new contenders. Amazon recently released the Amazon Fire TV. It isn’t surprising that Amazon would want to introduce their own streaming box since Amazon Prime as available on the others such as Roku, or WD TV. The box stands out for offering a Quad-core processor and a lot more memory than most of it’s competitors at 2 GB. They’ve also boasted at it’s ability to play over 100 dedicated games with more to come, unlike the other systems. The game controller for the system can be purchased separately. This device also boasts a voice search option, unique to the category. Amazon Fire TV also allows you to “fling” what’s on your tablet display straight to the TV screen. I am uncertain, but it seems like this works only for a Kindle Fire tablet. Overall the Fire sounds like a good competitor in the Streaming Video Player market for $99 and a 30-day trial. Roku has also released it’s newest version. 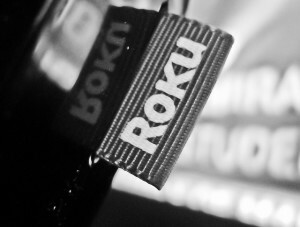 Moving away from the tiny box that has been around since it’s inception, they have introduced the Roku Streaming Stick. This design seems a choice to capitalize on the ever growing popularity of the Google Chromecast. Other than the design, Roku has improved on their product in a few ways. Unlike its predecessors, you are able to cast videos from your phone to your TV using mobile apps, such as Netflix and YouTube. This is a bit of improvement, but few of the streaming media players have yet to offer a Youtube channel (outside of Google’s own Chromecast, for example). With Roku, you can also use your phone as a remote control. The only thing missing from the included Roku remote is the headphone jack, with this model. I thought that was a great thing to add on, and it’s sad they did not continue it with the Streaming Stick. The streaming stick is $59.99. Overall, these two seem like good options to consider if you are willing to cut the cable cord. With these, or their competitors, you will be saving money in the long run. Do you own either one of these new players or their competitors? What do you like about streaming media players? What do you think are the limitations of such media players? Unfortunately, there are many different kinds of scammers around trying to take people’s money, and seniors are often their main target. Scammers tend to target seniors because many of them have access to larger sums of money, and they think they can trick them into providing them with their personal information. In addition, seniors tend to not be as techno-savvy as the younger generation, which make the Internet a hotbed for scammers. Below is some useful information about the types of scams that target seniors, as well as, some useful tips on how to avoid these scams. Scammers try all different means to try to steal information from seniors or to get them to agree to make a fraudulent purchase. While there are literally dozens of different scams out there, below we look at the most common types of scams that target seniors. Carbon Tax Compensation. These scammers contact seniors by telephone and pretend to be calling from the Australian government. They offer several carbon tax initiatives and benefit options to the senior, claiming all they need is their bank account information. If you get a call like this, you can be 100 per cent certain that it is a scam because the government never calls people in reference to the carbon tax credit. People must apply for these carbon tax savings on their own. Charity Scams. 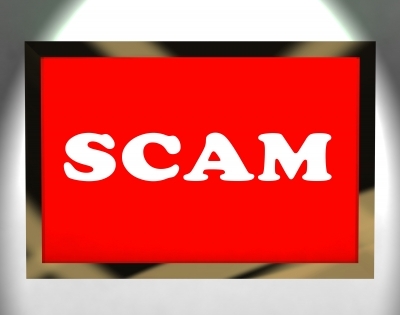 One of the most popular scams involves contacting seniors to donate to a bogus charity. Before donating to any charity, check with the consumer protection agency in your local area to ensure the organization is legitimate. Investment Scams. These get-rich-quick schemes should always raise a red flag for seniors. Be leery of anything that sounds too good to be true. Nobody should be providing you with investment advice unless they are licensed. You can check the standing of anyone offering financial or investment services by checking the ASIC Connect’s Professional Register. Lottery Scams. A popular scam targeting seniors is an email claiming that you won the lottery. This scam asks you to provide your bank information to deposit the funds into. This is almost always a trap to obtain your personal information. If you think it may be legitimate, you should first seek advice from a legal or financial expert. Money Transfer Scams. Money transfer scams request that you transfer a large sum of money to the other person and then they promise to return more money to you. This is a scam and you should never transfer money to someone you do not know. Superannuation Scams. This is another popular scam that target seniors, as the scammer promise to transfer your money to a self-managed account. This kind of accounts could have high account-keeping fees and cause you to face tax penalties or a higher tax rate. There are several step you can take to protect yourself against these scammers and secure your personal information. Stop Telemarketers. You want to make sure you have your number placed on the Do Not Call Register. This will reduce the number of telemarketers calling your phone and reduce the risk of being scammed. Do Not Give Information. Another thing to remember is that you should never give your personal information, including banking information to anyone over the phone. Remember that your bank will never ask for this information over the phone. Anyone asking for this type of information could be trying to scam you. Verify Legitimacy. Always take the necessary steps to verify the legitimacy of any charity your donate to or business you work with. Seek Professional Advice. When in doubt, you should always seek advice from an attorney or a financial counselor. They will be able to help you determine what options or legitimate and which are fraudulent.. The governmental website SCAMwatch provides useful information on how to protect yourself from scammers. You should always question any deals offer over the phone, through the mail or by an email unless you requested the information. Ask a lot of questions, do your research and find out the name, phone number, and address of any business or organization your work with. Yes, that reads like a contradiction – how can Christmas be both richer and less expensive at the same time. It’s simply a matter of changing priorities. And the way Christmas is going these days, that’s something that a lot of us need to do. The end result of all that extra effort isn’t always producing a better Christmas. In fact, many times it takes on the appearance of an exhausting project at work that leaves you tired and drained by the time it’s over. Do you ever feel that way during or after Christmas? If you do, it’s time to make a change. This Christmas season is an excellent time to start. From where I sit, gift giving is at the epicenter of what often turns into the Christmas nightmare. Not only does rampant gift giving turn Christmas into a major financial outlay, but there is also a major investment of time and effort. It’s all spent in an attempt to make everyone happy – to create the perfect Christmas, based on the gifts given. There’s nothing wrong with giving gifts, but that should never take center stage. If you have a large family, get together with everyone and set a dollar limit on the amount spent for gifts per-person. Cut back on the number of people you buy gifts for. For example, restrict it to giving gifts to children only, rather than adults as well. Set up a Christmas grab bag. That might mean that each family contributes one or more relatively small gifts to the grab bag, and the exchanges are mostly anonymous. Do a one-on-one gift exchange – everyone in the extended family pulls another person’s name out of a hat, and buys a single gift for that person. 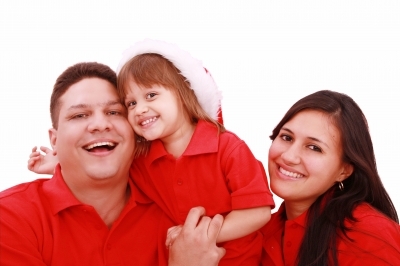 Within your own family, cut down the number of gifts to just two or three important ones for each person. You can make up for the “quantity factor” by buying a number of relatively inexpensive stocking stuffers. Rather than giving a gift, set aside time for some friends and family members – your time is often more important to loved ones than any gift you might give. Using some or all of these methods will not only cut down the amount of money you’ll spend for gifts, but it will also save you time and trips to the shopping centers. By de-emphasizing the importance of gift giving, you’ll have a fighting chance at making your Christmas holiday richer in other ways. Next to gift giving, having get-togethers is generally the most expensive and time-consuming Christmas activity. If you are holding a holiday gathering at your house, it can cost a lot of money, take a lot of time, and result in a lot of stress. But you can get around this by arranging potluck dinners. Ask everyone you are inviting to bring a side dish and a dessert, while you supply the main course, drinks, and of course the house. This will not only save you money, but it will also reduce preparation time and stress. Since most people these days are dealing with their own financial struggles, you shouldn’t be embarrassed about asking others to help with preparations. By reducing gift giving and replacing full-on Christmas gatherings with potluck dinners, you’ll be clearing the decks to create a richer Christmas. If you are Christian, putting Christ back in Christmas should be obvious. But as Christians we’re often disproportionately influenced by the culture around us, and we can easily lose sight of this. We can get caught up chasing all of the typical holiday “bells and whistles” that everyone else does. This isn’t just about going to church more often. Set aside some extra time to reflect on who Jesus was, and what He has meant to you in your life. Dive even deeper into the Bible than you do at other times of the year. Take a shot at singing in the church choir during the holiday season, even if you can’t sing. Singing is a form of group worship that can have a profound effect on your life. The deeper you get into the real meaning of Christmas, the easier it will be for you to avoid all the other excesses that have become so common – and so draining – during the holiday season. And as a Christian, the Christmas season can be a time of reflection and reconnection, that will help set the tone of your faith for the coming new year. Volunteering is a form of putting your faith into action. During the Christmas season, churches and other charities are working overtime. There are more needs at this time of the year than any other. It‘s not just the holiday – winter is also setting in, causing problems for the less fortunate. As it says in the Bible, “The harvest is plentiful but the workers are few…” – Matthew 9:37. Christmas is an outstanding time to join in and become one of those workers. Christmas is the season of giving, and there’s no better way to give than by volunteering your time. And there are no better people to give that time to than to those in need. Despite the widespread holiday celebrations, there are many households that can’t afford a special Christmas dinner, or gifts for their children. There are so many ways you can help make Christmas the season it’s supposed to be for people who can’t otherwise afford it. What many people don’t realize is that when you give to other people, the feeling that you get as a result is the greatest gift of all. Most of us don’t feel as if we can make a difference, but you can – especially at Christmas. Will you dare to be different this Christmas, and try to have a richer holiday in the process? One of the basic limitations for couples with young children in trying to set up date nights is cost. It’s not just the cost of the date itself, but you typically have the extra expense of having to pay a babysitter to watch your children. But there are ways on how to cut down on babysitting costs. And at the same time, you can also make sure that your children are being cared for by people you trust. My kids are teenagers now, but below are some of the methods that we used over the years. My wife and I lived hundreds of miles away from our extended families, so this was a tough one for us. But any time we visited “back home” this was an option that we took full advantage of. Family will typically watch your children free of charge, and if you live in close proximity to them, you should use this option on a regular basis. Just be sure that you are not abusing the privilege. For example, if you are dumping your kids off on your family just about every weekend – just because you can – you may be at risk of losing a cozy arrangement. Wherever possible, avoid overusing the option. Also, if you don’t have money to pay family to watch your children, see if you can pay them back in other ways. For example, you may be able to help your parents or siblings with major jobs around the house. You may even be able to provide any specific expertise you have to help them with a problem. When it comes to family, it’s important not to abuse the babysitting privilege, and to make it as mutually beneficial as possible. This was an arrangement that we had great success with. We had arrangements with several couples where we swapped babysitting. This gave each couple greater flexibility in arranging date nights and other outings without concern for cost. It’s the basic principle of you watch my kids, and I’ll watch yours. Since you are all in the same boat, as parents with young children facing the constant dilemma of how to afford trustworthy babysitters, the can often be a great incentive to participate in this kind of arrangement. In particular, we had a reciprocal babysitting arrangement with another couple who are among our best friends even to this day. We were in similar situations, even though we lived about 10 miles apart. Our kids were the same ages and neither couple had family living in our state. Not only did we arrange babysitting on a regular basis, but we also did babysitting weekends, and there is no explanation needed as to how valuable those can be! Another option you can consider is barter. Is there is a another couple who don’t have children, where you might be able to find some way to compensate them – other than cash? Think about any specific skills that you have that might be of benefit to the other party, and offer them in exchange for babysitting your children. You may be able to exchange computer services, lawn work, or even laundry services for babysitting. You may be in a tight spot in that you need a good but inexpensive babysitter, but if you can come up with services that you can provide in exchange, you may be helping to fill an important need for the other person. In this way you will be able to have a babysitter who you trust, without any money ever changing hands. She probably charges the highest rate. When a babysitter becomes popular, everyone in the neighborhood wants to use her. While that may provide an important validation of her services, it could just as easily make her hard to get, and expensive when you do. The way around this is to work with two or three babysitters, that way you will have greater availability and at a lower price. It could be that your children develop an attachment to a less popular babysitter that will make her even more desirable than the top sitter in the neighborhood. When you have children, you need to be creative in the babysitting department. Everything related to going out, or just having some free time without the kids, is compounded by the need for babysitting. And hopefully some of these tips will help you. What other ways do you use to find reliable but inexpensive babysitters? I came across an article recently on Yahoo which talked about a new scam. 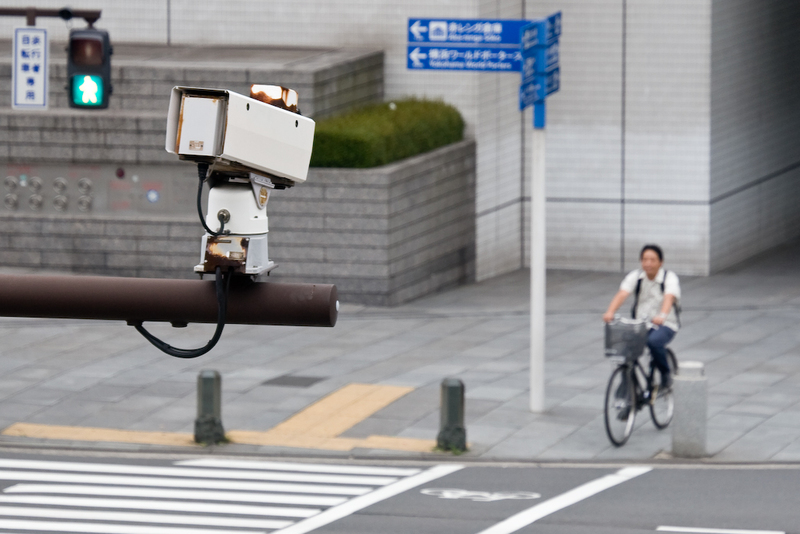 This scam revolves around traffic light cameras, and is designed to steal your identity. When I began to read this article, I expected to read about some fancy IT person hacking into traffic cameras, and somehow using them to read information off of your EZ-Pass or some other recognizable thing on or in your car. But instead, crooks are using laziness and fear to take advantage of people. Of course, when this happens, there’s no bill, no unpaid ticket, no red light camera, and the person who was calling does not work for the police station or the clerk’s office. They are just hoping to use your fear and laziness to get you to automatically make a payment. If you receive a phone call from someone claiming to be a police officer (and maybe even giving you a supposed ID number), fear may overtake you and cause you to do whenever that person on the other and says in order to avoid the consequences that he is promising. Once you agree to pay the fine, the person on the other end will then ask for your credit card number and security code (that three digit number on the back) in order to process the payment. Once they have that, they can then move forward and ask for your billing address, date of birth, and even your Social Security number – assuring you that all of this data is needed in order to handle your payment. 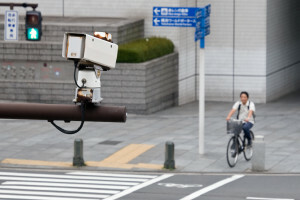 Of course, you would assume that if the police station was able to get your phone number from whatever information came up on the red light camera, they will also be able to get your address, and at least have the date of birth of the person to whom the car is registered. But again, when the fear of a hefty fine or possibly even jail time overtakes someone, the ability to think clearly and to logically assess a situation is greatly diminished. You can rest assured that there is no police department in the country that will conduct business in this fashion. They conduct all of their business through snail mail and will not call you and give you the option to make a payment over the telephone. Even if you’re at the point of debt collection, all of this is first handled via mail, and once the phone calls are initiated, you should verify everything in writing before making any types of payments. According to the article, the thieves will sometimes place a follow-up phone call and tell you that it was a mistake and then assure you that your card has not been charged. They will even apologize for causing you stress or bothering you in the first place. The purpose of this is to cause you to be so relieved that you aren’t in any type of trouble that you won’t get suspicious, and to also ensure that you will not check your bank account to make sure the payment went through. This should give them enough time to place a number of fraudulent charges before you decide to check your account. So remember that if you ever receive a phone call stating that you were caught with a red light camera, going through a toll booth without paying, an unpaid parking ticket, or anything else of this sort, you should hang up the phone and call the police station or the clerk’s office yourself and inquire about the matter. In fact, you should avoid giving out any sensitive financial or personal data through the phone, unless you are the one who initiated the call and you are 100% certain that you were speaking with the correct party. Have you every had anyone call you with a scam to get your information? Have you ever been the victim or known a victim of this type of fraud? How would you handle this phone call?